New Orleans private eye Burleigh Drummond and Police Detective Jodie Kintyre investigate the theft of a marble heart and the murder of its seller. Westmoreland’s P.I. Burleigh Drummond is the grandson of Philip Marlowe, and therefore a Wold Newton Family member. Jodie Kintyre is the partner of Dino LaStanza, a cop featured in a series of novels by de Noux. This crossover brings LaStanza and Jodie into the CU. Half-Cajun, half-Sioux cop John Raven Beau appeared in the LaStanza novel New Orleans Homicide before spinning off into his own series of novels. 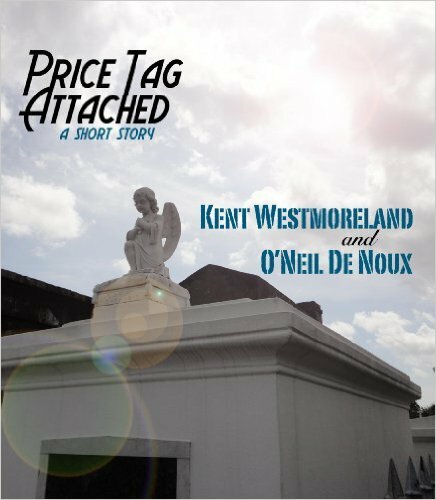 De Noux’s story “Little Known New Orleans Mysteries” establishes his ’40s P.I. Lucien Caye exists in the same universe as Jodie. Doesn't that make Drummond a cousin of Spenser? Is there a relation to BULLDOG Drummond?